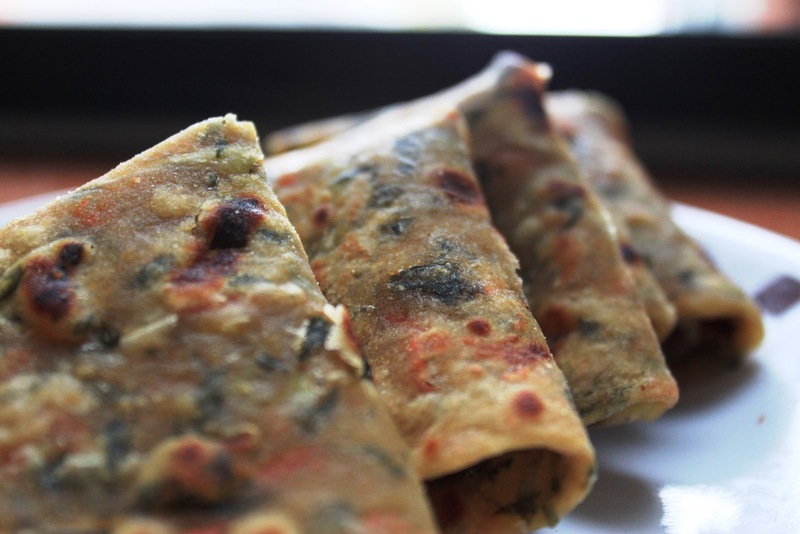 Another easy recipe, that yields super soft and tasty parathas in no time. If you are a complete cooking novice like me (it's really sad and I want to feed my kiddo nice things!! )–could you advise on the easiest way to cook dal with specific directions incl. type of dal? Thank you!!!! For dal…I can tell you some basic steps for 1 cup dal, I add about 2.5 cups water, 1/4 tsp turmeric and salt to taste…and put it in the pressure cooker.After one whistle, keep it for 5-10 minutes depending on which dal it is. For tadka, take a wok…heat oil, add a pinch of heeng, add cumin, let them crackle, you could add ginger, garlic, onions and tomatoes, add red chili powder.let it cook till all combines…now add this to the dal in cooker…if you feel dal is too thick add some warm water, stir and cook without lid for a minute or two…taste and adjust spices.Hope this helps. Will also try and write a post with detailed steps on how to make dal…but that may take a few days.